Rugby Town, under the guidance of caretaker manager Gary Moran for the first time since the departure of James Jepson last week, lost to a late strike at mid-table Lincoln United on Saturday. After a spirited performance the Butlin Road side conceded a goal just five minutes from time to miss out on a share of the points. 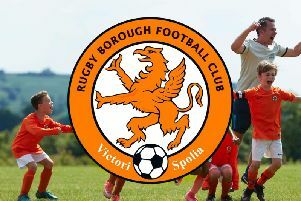 The windy conditions didn’t help Valley’s makeshift side, who are now bottom of the NPL Division One South with just a win and a draw from six games. Tomorrow (Tuesday) they travel to unbeaten league leaders Spalding United.